I recently upgraded my processor from 2x2,6 to 2x3,4 to run more games smoothly. Without hacks I reach only 40fps, which is too slow. With some hacks I reach 50fps, which is still too slow. After VU cycle stealing on 3 I reach 60fps but it's even more laggy BUT IF I change the max fps from 60 to 77 ( 130% instead of 100% ) it runs on fullspeed. I can't really find any solution. That's rather typical behavior from VU stealing. you can expect the sort of "false FPS". and consider setting the VU1 recompiler to superVU1 (in the Emulation Settings). I think that can help you squeeze a bit more out of this game. Also-- see if allowing 8-bit textures (in the GS plugin settings) helps you with this game. and consider overclocking your processor that little bit more you may need. A couple hundred Mhz more certainly could be done safely. edit : one funny thing : no matter how bad the game runs, if it shows 60fps(on ntsct or 50fps at pal) the music runs 1:1 with the game. (04-27-2012, 06:12 PM)quadans Wrote: edit : one funny thing : no matter how bad the game runs, if it shows 60fps(on ntsct or 50fps at pal) the music runs 1:1 with the game. and the FPS readout no longer represents the actual speed. Have you turned down, or turned off, the VU stealing? The sound normally stays in sync with the games speed with the default TimeStretching sound setting (you could try Async Mix, but it may not work right with some games). 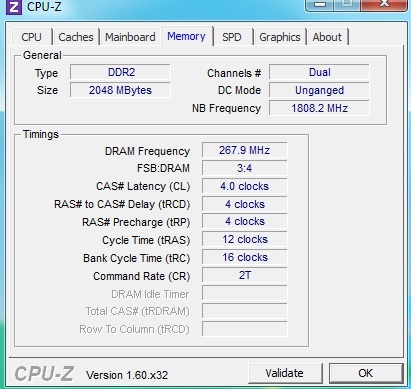 A stock cooler can still handle some overclocking. Is that 39c when running PCSX2? I also tried every possible version, the 0.9.8, the unoffical 0.9.9 and the newest thing on this site http://pcsx2.net/svn.php , so 3 different versions. btw what does the "slowmotion setting" in GS mean? I mean i can choose between turbo and normal with TAB button, but slowmo? Shift-tab toggles slow motion mode. Normally this slows the whoel game down to half speed (not just the frame rate), but you can change the % of the base frame rate in the GS tab of the options. I wouldn't personally set VU cycle stealing above 1 - you will see your frame rate go up, but the game doesn't actually run any faster, its a false reading. If a game was genuinely running at 80fps, you'd find it was running about 1/3rd faster than it would on your PS2. The MTVU hack is much more effective on my quad core I've found. - game is CPU bound (if the EE% and CPU load are consistently very high when in game). Nothing much you can do here, move on and play another game or get a faster PC. - game is GPU bound (if the GS% and graphics card load are consistently very high when in game but EE% and CPU load are much lower). Try increasing EE cyclerate slider to give more cycles to the GS. Frame skipping might also be the only answer. - game runs slowly even if EE% and GS% are low, and the corresponding CPU and graphics card loads are low. Game's performance is bound by some other variable, try removing post-processing FX with skipdraw hack, try 8-bit textures or failing all try frame skipping. Some games go slow unless you set the right rounding/clamping modes, the list is endless....and some games (I'm looking at you, Killzone) just consume all your memory till its gone and crash! Even having said all that in general I don't notice slowdowns *too* much with my games so long as the fps never drops below about 40fps (my games are all PAL). If a game regularly dips below 40fps I'd be inclined to try frame skipping and see if that works. Is there a difference with 100% turbo mode and 100% normal mode? (04-29-2012, 12:46 AM)quadans Wrote: Is there a difference with 100% turbo mode and 100% normal mode? Turbo mode is normally 200% of the base frame rate. So for PAL that'd be 100fps instead of 50fps. For NTSC 120fps instead of 60fps. If you manually change the percentages in the GS tab to 100% for both turbo and normal mode then there should be no difference.